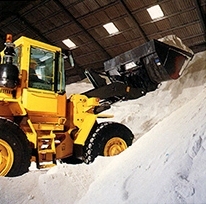 Long Rake Spar is one of the largest importers of specialised decorative aggregates in the UK. Several of these imported products our procured under exclusive supply agreements for the UK, and in some cases Europe. In order to ensure sufficient stock holding for our UK customers, and that of our partners overseas, we currently hold in excess of 15,000 tonnes of our imported products, at various dockside locations and sites nationally. We source a selection of our imported products by road via bulk tippers, from various European locations, with up to 2-3 loads per day during peak demand, and averaging at least one load per day throughout the course of the year. 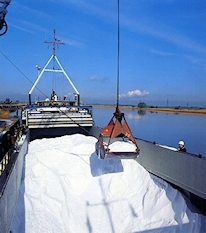 The remainder, large volume, core products, such as our white dolomite are imported by sea in bulk shipments of between 2-3,000 tonnes per consignment. Our main port/dock facilities are situated at Gunness Wharf where we currently ship in excess of 40,000 tonnes annually. We also take further shipments of primary products to Inverkeithing Docks to service our stockists in Scotland. Similarly our products can be bulk shipped to customers overseas, supplied to European destinations via road in loose tipper loads or palletised and delivered by container loads to any worldwide location.